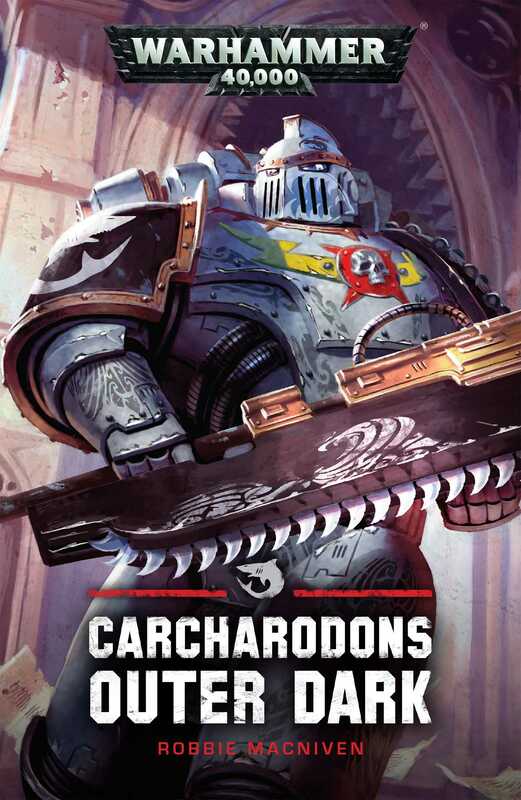 The Carcharodons’ remit is an unenviable one - this Chapter of Space Marines plies the dark areas of space, endlessly hunting down the enemies of mankind. Living on the edge, with no fixed base of operations, they are creatures shaped by their environment, renowned for their ruthlessness and their brutality. With a fresh wave of tyranid hive fleets approaching the galactic plane, the Carcharodons decide to use the world of Piety V as a bulwark. If they can stop the xenos here, they will be able to end the menace before it begins. But as they mobilise the planet’s defenders and fight the tyranids, the Carcharodons come to learn what the value of mankind truly is.